Eine 40 Meter breite Einheit mit Florida-Zimmer an der Seite. Hier können sechs Personen bequem schlafen, zwei auf dem Queen-Bett im Schlafzimmer, zwei auf dem Queen-Schlafsofa im Wohnzimmer und ein Schlafsofa im Florida-Zimmer. Es ist ein trockenes Grundstück mit herrlichem Meerblick und Brise. Das Gerät selbst verfügt über eine zentrale Klimaanlage und Wärme. Es gibt eine 'Suntrap', einen Picknickplatz auf der Rückseite, ein Sonnendeck auf der Vorderseite mit herrlichem Blick auf das Meer und die US1. Auf der Brücke verbindet der Golf von Mexiko den Atlantik mit Blick auf den Osten, den Atlantik und die Atlantikküste tief blaues Meer. Ich sitze gerne mit einem Bier auf dem Sonnendeck und beobachte, wie die Fischerboote vorbeiziehen, Pelikane auf dem Meer landen, Osprey oben auf dem Wasser kreuzt und die weißen Reiher Fische auf dem Riff vor dem Ufer pirschen. Nachts können Sie in der Brise sitzen und zusehen, wie der Mond auf dem Meer schimmert. Die Internationale Raumstation rutscht ruhig über den Himmel. Wenn Sie ein paar Minuten bis zum Weltraum schauen, sind die Sternschnuppen einfach wunderschön, PARADISE. Küche: Monster Kühlschrank mit Gefrierfach, Backofen, Mikrowelle, Doppel-Spüle. Lounge: Luxury Queen-Schlafsofa, große Essecke, bequeme Liege, rocker, Kabelfernsehen. Hallo-Fi, Telefon: -freien Ortsgespräche. Bad: Bad und Dusche! Schlafzimmer: französisches Bett, schönen Blick aufs Meer und Gottes natürlichen a / c weht durch das Fenster in der Nacht '. Wir verfügen über einen TV im Wohnzimmer, Schlafzimmer 1 und in den Florida Room 2 Schlafsofas König und die Königin sicherlich ein Zimmer mit Aussicht, Sonnenaufgang und Meer. Wir hatten einige schöne Tage auf den Florida keys. 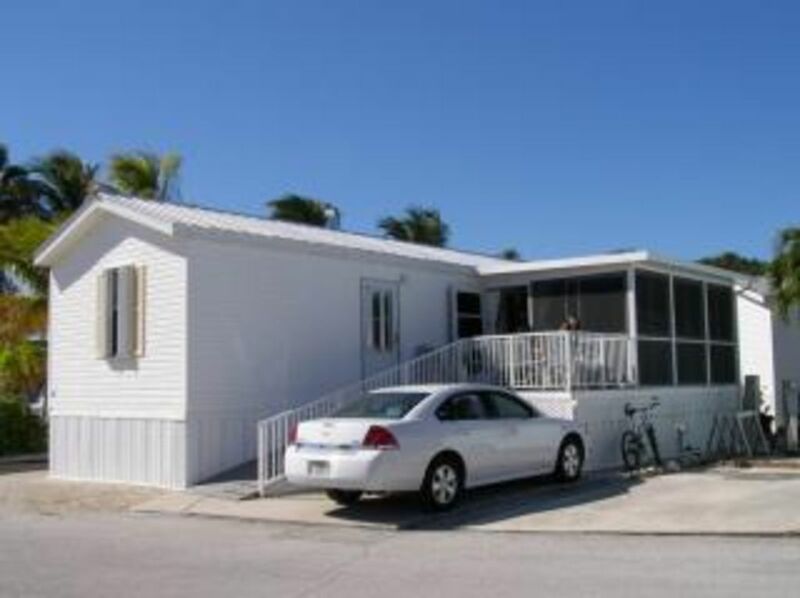 Nur 23 Meilen nach key West und etwa 15 zum bahia Honda State Park. Kleiner Shop vor Ort. Das Haus bietet alles was man so braucht. Hi , surprisingly I understand this, well my wife speaks German, ok whatever, it says the house was as described , very good, and they visited Key West and Bahia Honda. Bitte schoen com wieder , Steve and Sylvia. OK. So your not in the Taj Mahal, let’s get that out of the way. Dainty people need not apply. If you want mint on your pillows, move on. This is a quaint little place that has the basics for a very nice price. If you need the frills, there aren’t much here but who needs them when your smack dab in the middle of paradise? We spent much of our free time sitting on the screened in porch while the sea breeze blew through the windows. I couldn’t get enough of that. Just drinking coffee on the porch reminds you that your not in Kansas anymore. The views were phenomenal and the pictures don’t quite do it justice. Any gripe about a skateboard ramp (who cares?) or our gripes about the shower not working or the sliding door being sticky were small peanuts. There was a shower right down the road that was always available. This was spot on for four people who don’t need much. Six would be a stretch, in my eyes, although you could cram them in, I suppose. Our two kids piled on the futon playing on their electronics or watching TV while we discussed the state of the nation in the shade. The wifi was remarkable! All four of our electronics would work effortlessness at the same time. All and all, this place is nice option for families with a couple kids, as there is so much to do within a stones throw from the place. It’s the Keys, after all. There’s a million ways to spend your time. Venture Out is a nice community with all sorts of different kind of people. Their pool is open late and there is a place to swim in the ocean. Lots of people over the holidays to navigate but room for everyone. That alone makes the $53 worth it. We highly recommend this place just as long as they keep their expectations in check. Yes I like the style of this one. First item, he was speaking figuratively about the shower, it actually does work but the point was there's backup if it didn't, good point. Second one he was sitting on the porch, be warned if anyone else does that, its a very expensive German sports car dont scratch it!!!!! Another good 5 that he said should be a 6 if possible. Ps . I've been told the ramp is easier for running suitcases up by quite a few people, if anyone disagrees I'd like to hear it. We love staying here..it has everything you need. The views are great.. Very nice back country fishing destination. Good value close to Key West. Pros; Overall this was a very nice place to stay. The Price is a real value given how close it is to Key West. Unit was very clean and well stocked with everything you need. The extra cost for the gate pass is well worth the security of the gated community. Very nice pool and community store on site. Location has outstanding fishing with boat ramp and cleaning stations. I would definitely stay here again. Cons; Rental is represented on the map to be on the water side of the street. It is not on the waterside and is land locked in the middle without direct access to the water. I feel this is an intentional misrepresentation by the owner. Parking for this location is also very small and will not accommodate a full size car of pickup truck. You cannot park in the street. The AC could cool better in the master bedroom. The "Venture Out" facility is nice, but lots of rules. We didn't use any of the facilities but got to pay for 4 nites use of the gate !!. So 3 stars because of the gate fees and rules, strangest review I ever saw, wierd, he stayed there last year and we got glowing reports, wonder what happened, what rule he broke to get his toes stepped on lol??? Violet went to see if they were ok on arrival and he wouldn't open the door just shouted through the door, it takes allsorts to make a world. Lucky we got a 3 and as for the sarcasm at the start, please don't come again. Not joking by the way. PS All that over $53, OMG sad. PPS What makes the most ridiculous review I ever saw is the fact that the gate fee covers security, a lot if reviews point out how ,"Safe," it is and further more , why has he stayed twice? I'll explain the other alternative is save on the gate fee and pay much more than that for the rental, stupid mindless review. Hi, thank you, glad you liked it. MM33, 15 Minuten nach Bahia Honda, die schönsten Strände außerhalb von Hawaii, ist die underated Big Pine Key 8 Minuten nördlich mit No Name Key und es ist cool Pizza Poppin Bar alle Garagenflohmärkte an Samstagen und an der Blue Pool mit es ist erstaunlich, Wildleben Hirsche, Fischadler, Pelikane, Einkaufszentren und Flohmärkte. 2 und eine halbe Stunde nord sind die wundervollen Everglades! Nightly Rate: $65 - $92 The gate fee is not paid to me. Weekly Rate: $500 - $750 .THERE IS A $53 GATE FEE PAID ON ARRIVAL AND NOT TO ME, THEREFORE, IT CANNOT SHOW IN THE QUOTE AS THE SYSTEM IS NOT CAPABLE OF EXPLAINING THIS AND WOULD DIRECT THE PAYMENT TO ME. Monthly Rate: $1500 - $1950 High Season (December 1st-May 31st)=$650per week. Low Season (june 1st -November 30th )=$475 per week. Lobster Seasons and Fantasy Fest. week $750 per week.Thanksgiving week $575. Cleaning $95 and there is a $60 surcharge for pets.